With so many ways to reach out to potential customers and readers, it comes as no surprise that millions of advertising campaigns are running across various social media sites and search engines at any given time. Many think of giants such as Google and Facebook when planning their next big advertising campaign, but there are plenty of less-explored venues through which to gain followers, promote products and increase your exposure. Reddit is one of these examples: while it is not perfect for every type of campaign, many content marketers find great success in appealing to the right niches through this platform. Below, we will outline the basic details of Reddit advertising so you can determine whether it is the right choice for your next campaign. Reddit definitely is a male-dominated website: according to demographic analysis from spring 2013, Reddit users are approximately 57% male. The average Reddit user is around 32 years of age and earns approximately $50,000 per year in income. Approximately 40% of Reddit users have children, while roughly the same number have not graduated college. Approximately 77% of all users are Caucasian, and the site as a whole currently ranks as the 34th most popular website in the world. In summary, the average profile of a Reddit user would be a college-educated white male in his early 30s. While understanding who uses Reddit is important for basic market analysis, Reddit’s advertising platform allows for much more versatility when selecting who you will target. One of the best sites to offer interest targeting, you will be able to display relevant ads to users who are interested in your product – instead of pinging noise at people who just fit a certain demographic profile. Depending on your selections, you can micro target a few thousand select individuals based on their interests or deploy an all-out campaign that reaches millions. Regardless of your needs, the versatility of Reddit targeting allows you to reach the exact audience desired. 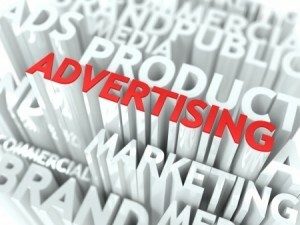 Advertising through Reddit offers a variety of features – many of which cannot be found on other major advertising platforms. One of the most notable is the comments section; your ads will be subject to feedback, compliments and criticism from those who see it. This will allow for future planning in regards to what works and what does not. The up and down voting system is also included, showing you what viewers of your ad truly think about it. While many advertisers offer various metrics to help gauge this sentiment, Reddit is one of a very few that actually offers direct input on advertisements from its users. Those seeking to interact with a relatively young audience while also having the opportunity to display relevant ads based on their preferences will appreciate Reddit’s advertising options. With so many niches existing on the social media and news site, it comes as no surprise that many small-scale marketers are finding tons of success by using this platform. If you are considering a new ad campaign but feel like you have been pinging noise to uninterested viewers on other platforms, then Reddit may be a micro-targeted solution to these woes.